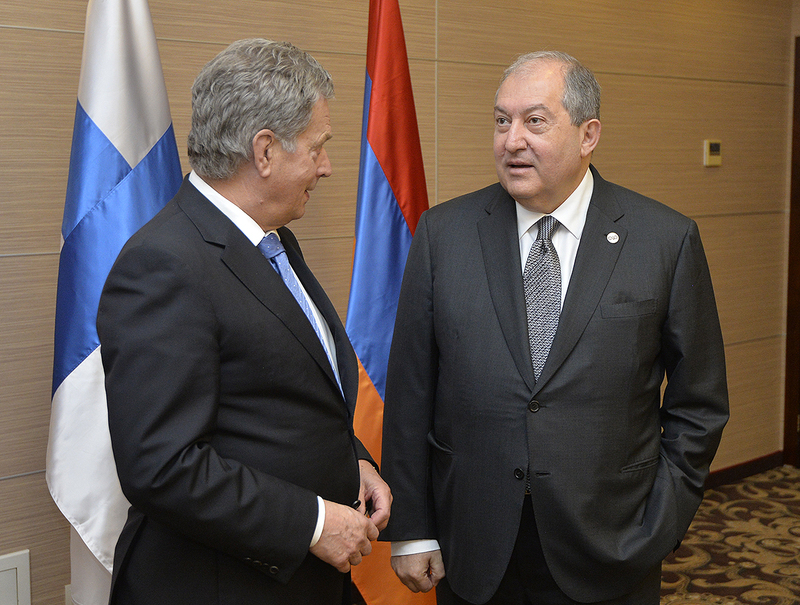 President Armen Sarkissian, who is in Tbilisi on a working visit, on May 26 met with the President of Finland Sauli Niinistö. 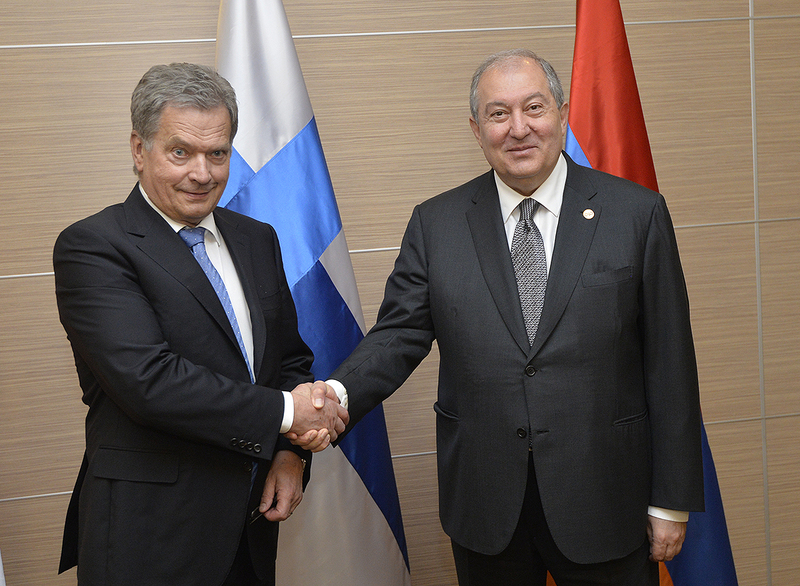 Noting that last year Armenia and Finland celebrated the quarter of a century since the establishment of diplomatic relations, President Sarkissian observed with satisfaction that during the mentioned period of time the Armenian-Finnish relations have been developing steadily. 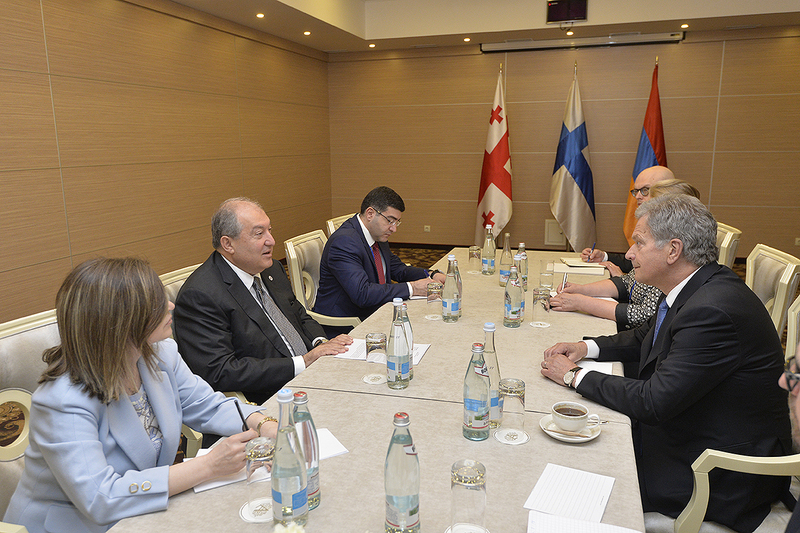 Armen Sarkissian stressed the importance of the continuous high-level political dialogue and invited his Finnish counterpart to conduct a visit to Armenia. 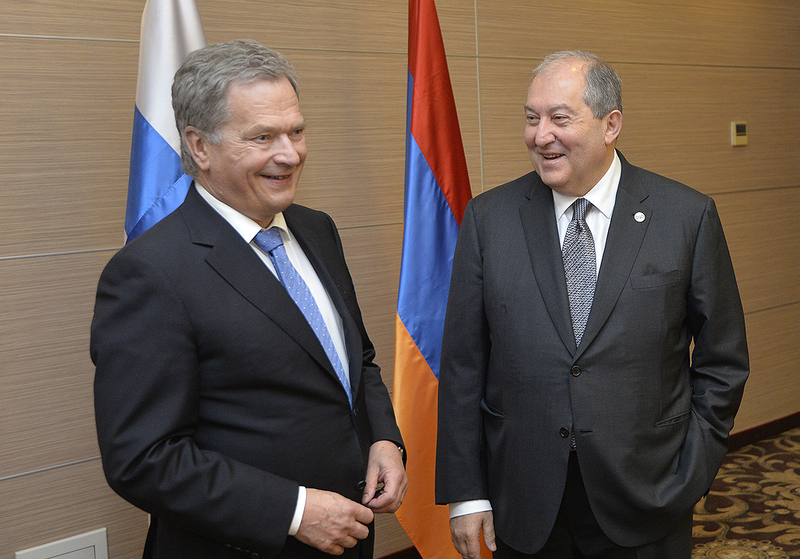 According to President Sarkissian, Armenia and Finland – two small countries, have many things in common which might become a good base for expanding the framework of cooperation. 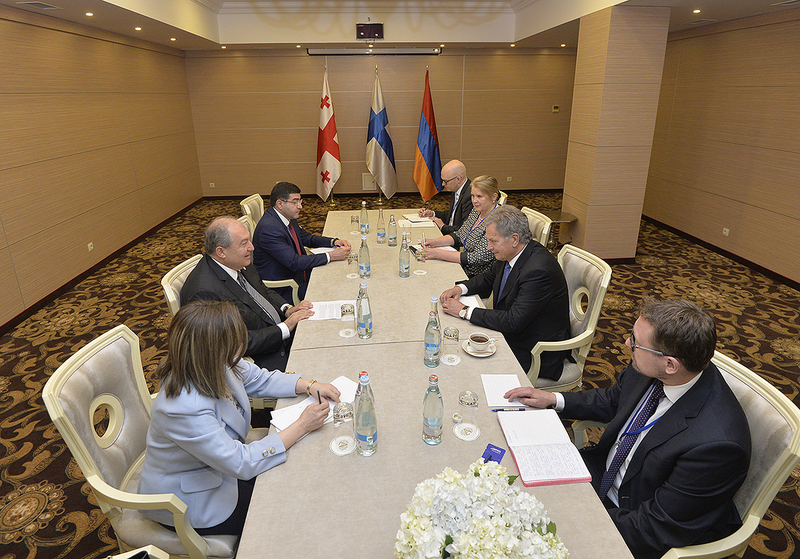 The President of Finland said that they were following closely the recent changes in Armenia and were happy for the civilized and peaceful resolution of the situation. At the meeting, the parties spoke about prospects of cooperation in the framework of the signed by Armenia and EU Comprehensive and Enhanced Partnership Agreement and exchanged views on the regional and international issues.